Unless you are a true-blue aficionado or somebody who frequents marijuana clubs, chances are you will be stumped when presented with the many weed strains available on the market. There are currently thousands of weed strains to choose from. Between the bombastically weird names (Hog’s Breath or Super Skunk, anyone? ); the fantastic, almost-miraculous medical claims; and the shady connotations by some, it can be very difficult to navigate the maze to find reliable information. Before proceeding further, we need to familiarize ourselves with some terms. Getting our heads around these will let us have a more meaningful discussion as we go along. You can refer back to these definitions when you encounter them in the sections below. Cannabis – a type of flowering plant originally thought to be indigenous to Central Asia and the Indian sub-continent. Has a wide range of industrial and medicinal applications as well as recreational uses due to its psychoactive effects. Cannabinoids – diverse chemical compounds found in cannabis that bind to cannabinoid receptors (located in the brain and throughout the body), altering the neurotransmitter releases of the brain and resulting in psychoactive effects or medical benefits – often both. THC (tetrahydrocannabinol) – a type of cannabinoid. The primary psychoactive compound in cannabis, responsible for the high marijuana has become famous for. 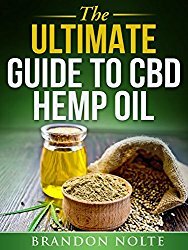 CBD (cannabidiol) – the non-psychoactive cannabinoid generally believed to be responsible for the medical benefits derived from cannabis minus the high. Terpenes – a diverse class of organic compounds produced by a variety of plants, particularly conifers. 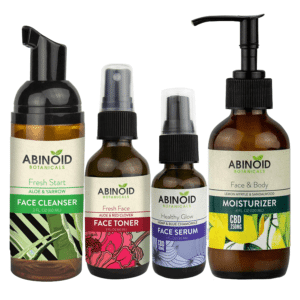 Fragrant oils that give cannabis strains their own distinctive aromatic diversity. “Weed” is one of the many slang terms used to refer to the dried flower buds, leaves and other derivatives from the cannabis plant. These are utilized for recreational or medicinal purposes, depending on the type of strain. There are three officially recognized main species of Cannabis: Cannabis sativa, Cannabis indica, and Cannabis ruderalis. For the purpose of this article, we will be focusing mainly on Cannabis sativa and Cannabis indica along with their various hybrid iterations. Cannabis ruderalis is not widely used for strain cultivation because of its relatively low THC content and is even deemed inefficient for industrial purposes (e.g., fiber, rope, etc.) due to its shorter stature. We’ll touch on ruderalis briefly before moving on. Cannabis ruderalis is indigenous to the Central/Eastern European region and Russia. It is widely considered the sturdiest and most resilient cannabis species as it can survive the harsher climate and environment of these regions. Usually overlooked and sometimes rudely referred to as “ditch weed” because they are commonly found roadside in their native regions, ruderalis is the smallest of the three cannabis species. The plant rarely stands more than 2 feet tall. It is short and stocky with thick and sturdy stems supporting small, chunky buds. Weed strains available on the market are classified under three main categories: Cannabis sativa, Cannabis indica and hybrid varieties derived from both species. This variety originated in the temperate equatorial climates of Mexico, Central America, and Southeast Asia. Scraggly and wiry, it is considered the tallest among the cannabis species. It can grow to an average height of 8 to 12 feet and has even been noted to reach as high as 20 feet under optimum conditions. Sativa can also be identified by its thin, light green leaves and long, fluffy flowers. These usually have red or orange hues when grown in a warm locale or are slightly purple when cultivated in a colder environment. Due to its affinity for warmth, it is often the preferred choice of outdoor growers. Among the pure strains, sativas are generally considered the go-to “pick-me-up” variety of the bunch because of the uplifting, energetic, and creative effects. Fans of this strain are especially fond of its inherently sweet and fruity aroma, particularly when compared to the more pungent indica variety. It is also used for medicinal purposes to help in treating conditions such as depression, Attention Deficit Disorder (ADD), fatigue, and mood disorders. However, sativas take the longest time to harvest with a flowering time of around 12 to 14 weeks. A native of the Hindu Kush mountain region that stretches from central Afghanistan to the north Pakistan border, this variety stands at a very manageable height of 3 to 6 feet. It has the heaviest resin ratio among all the species as it must cope with the harsh mountain conditions. Aside from being shorter than the sativa, Cannabis indica is also denser and bushier with fatter dark green leaves. Its flowers are heavy and dense with purplish hues. Flowering time is 8 to 9 weeks under the right conditions. Indica is noted to increase appetite, and it has sedative and relaxing effects, making it ideal to use when lounging or just before heading to bed. Indicas usually give off a pungent skunky odor when used but are proven to be beneficial to people struggling with insomnia or those needing pain relief. Between its reportedly higher-yielding capability, rich cannabinoid properties, convenient height, shorter flowering time, and resilient features, this variety has become an absolute favorite of indoor growers all over. Theoretically combining the best of both worlds, hybrid strains are the products of blending Cannabis sativa and indica strains for desired usage effects, production improvements, or even aesthetic qualities for marketing consideration. Hybrids are created with almost infinite possible combinations, and there are now more than a thousand hybrid strains on the market. Many more are being developed as we speak. Despite the vast number of available choices, all hybrid strains can be lumped into three categories: sativa-dominant, indica-dominant, and 50/50 hybrids. Resulting strains are typically named by their respective growers to reflect the plant’s properties. These include flavor profile, color, aroma, and its parent origins. Hybrid strains are usually bred to intensify or highlight specific characteristics for recreational or medicinal purposes. Hence, you may have an extremely high-THC/low-CBD strain preferred by recreational users on one end of the spectrum and a very high-CBD/low-THC product used for medicinal purposes on the other end with endless possibilities in between. Aside from the cannabinoid content and intended effects, other properties such as aroma, plant growth rates, physical appearance, and flowering time can be manipulated based on the ratio of the selected parent strains. Designing and engineering specific strains to meet certain desired criteria can be especially helpful in addressing custom needs particularly for medical applications. Now, armed with this information, how do you choose which strain is right for your needs? Below are the most common criteria by which people base their decision on when selecting specific strains for their own particular needs. Among the many pleasures of consuming cannabis is the soothing initial sensory burst of the taste and smell of the weed itself. There are as many unique cannabis flavors as there are identified strains. Some may even argue that there are actually more flavors as strains can differ in flavor depending on cultivation. Different growers can end up with slightly different flavors due to differences in growing conditions such as climate, fertilizers, soil type, farming techniques, or daylight length. These can all have a meaningful effect on the development of a critical cannabis compound called terpenes. Terpenes are aromatic oily compounds that reside in the same cannabis glands that produce the cannabinoids THC and CBD called trichomes. This pungent oil is responsible for the flavor and smell distinctive to each cannabis strain. Terpenes are also responsible for scents in other plants and fruits. More than 100 different terpenes and terpenoids have been identified, creating a diverse palate of cannabis flavors, every strain has its own unique terpene profile. Some of the more notable cannabis flavors are Berry, Citrus, Grape, Pine, Lavender, Mango, Pineapple, Lemon, Coffee, Mint, Peach, Pine, Tobacco, and Vanilla. You may also choose strains according to the desired effects. This means the emotional and/or mental high that you usually experience when consuming cannabis. Feeling sluggish? A little Appalachian Power may help perk you up. Feeling bashful at a gathering? Some Sour Breath will help transform you into the life and soul of the party. Having trouble sleeping? Let Granddaddy Purple lull you into a blissful slumber. When it comes to pure strains, experienced recreational users will find it fairly easy to determine which type to go for in a certain situation. Basically, if you want to have an energy boost and get your creative juices flowing, choose Cannabis sativa strains; they’re considered the “uppers” of the cannabis world. On the other hand, if you just want to unwind after a stressful day, opt for Cannabis indica strains. Note, however, that stronger indica strains tend to put you in the so-called “couch-lock” condition – couch-locked users can feel unable to move as if they have essentially melted into the couch. This is the condition that has led to the prototypical “stoner” image. Hybrid strains, however, are a bit more complicated. They can come from a vast array of possible parent strains, and there are also accepted variations in the growing conditions and techniques used by breeders. Thus, hybrid strains may have varying degrees of effectiveness that differ from person to person. You can make an informed decision by consulting the various strain-finding tools available online (we’ll get to those later in this article), reading the individual reviews of the strains you like, and checking out the comments of users who have tried them. After that, I suggest making a short list of the strains you think you’ll like – and feel free to go ahead and try some to make your own personal judgment. Just be careful that you take indicas at night as much as possible, and free up your schedule beforehand, just in case you get into that couch-lock position. Another way to choose strains is to match specific strains with the symptoms you’d like to alleviate. People worldwide live with medical symptoms in their daily lives. Insomnia, headaches, chronic and acute pain, lack of appetite, fatigue, inflammation, muscle spasms, seizures, nausea, stress, anxiety, and depression are just some of the common symptoms for which cannabis has been known to help provide relief. One major advantage of using cannabis to treat medical symptoms is that it is all-natural, unlike many clinically prescribed drugs, which come with various adverse side-effects. As a result, many with clinically diagnosed ailments and conditions can now freely choose corresponding cannabis strains. Here’s a list of just some of the known ailments and conditions certain cannabis strains have been known to help with on certain levels. By no means is this a comprehensive list. Numerous ongoing studies are still being conducted to provide concrete proof regarding the effectiveness of cannabis in the treatment of the above-listed ailments. We believe that we are only now touching the surface of the tremendous potential of cannabis for medical purposes. Now that medical marijuana is gradually becoming more acceptable to a larger segment of society, further research will be pursued by governmental as well as privately funded institutions to probe other possible applications. You may be wondering about the most popular strains and how they are rated. For this exercise, we turn to Leafly.com, the largest cannabis website in the world. The site has tons of useful stuff about all things related to cannabis and allows their massive user base to post individual reviews and ratings of the different strains. Reviewers come from diverse backgrounds: researchers, growers, educators, medical marijuana patients, office workers, regular Joes, male and female, young and old, cannabis lovers one and all. Their purposes vary from medical relief to recreational use to both. User comments are all very sincere, insightful, and honestly sounds like a lot of fun. Just don’t be very particular about grammar and whatnot; the subject matter may have something to do with that. Without further ado, here is a countdown of the most popular cannabis strains according to the users from Leafly.com. This is the Jon Snow of the cannabis world. When this strain emerged in the late ’90s, the grower it was named after was unsure about its parentage. He only stated that it came from an OG Kush hybrid that pollinated an unknown indica strain. A favorite in the coffee shops of Amsterdam since it came out in the ’90s, this internationally renowned offspring of the Brazilian sativa and South Indian indica will surely become one of your instant favorites once you get a taste of its stimulating and euphoric effects. Whether you came for the medical relief, psychoactive effects, or both, once you get a taste of this potent sticky hybrid, you will definitely find it difficult to shake this monkey off your back. This award-winning sativa-dominant strain will have you bust out your copy of the Emperor Has No Clothes (whose author is this strain’s namesake). It may force you to brush up on your reading once its renowned effects of clear-headed and creative energy set in. Its potent psychoactive effects aside, this California staple is usually counted on for its medical benefits in relieving pain, stress, insomnia, lack of appetite, and muscle spasms, among others. Treasured by recreational users for its euphoric and happy effects, this progenitor of many other popular West Coast varieties is also credited by medical marijuana users for improving migraines, ADD/ADHD, stress disorder, and other illnesses. Look past the name’s negative connotation, and you’ll enjoy this fruity and citrusy variety’s uplifting effects as well as its medical benefits in aiding patients struggling with fatigue, stress or depression. Despite the name, this strain is actually no child’s play. Many users have been able to visit their own personal Happyland, whether for recreational or medical reasons, once they experience the wonderful effects of this award-winning strain. Its stimulating effects and long-lasting relief have made this legendary strain an all-time favorite among medical users who seek some relief from pain, stress or depression and from recreational users who chase its dreamy, cerebral and energizing boost. It’s not even close! The runaway winner, by a mile, as the most popular strain is the Californian-bred, sativa-dominant strain Blue Dream. 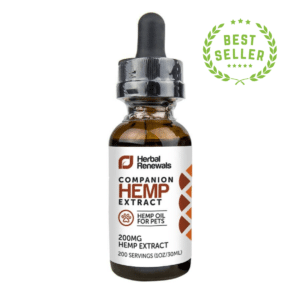 It is a favorite of novices and seasoned users alike because of its ability to deliver fast symptom relief without the heavy sedative effects of other strains. Its mellow, cerebral and euphoric build-up make it a favorite among recreational users as well as patients hoping for relief from pain, depression, nausea and other ailments. With the exception of Girl Scout Cookies and Gorilla Glue #4, the most popular strains mentioned above are not necessarily regarded as the most potent. When we say “potent,” we’re referring to THC potency. While studies show that CBD may counteract the psychoactive effects of THC and others highlight the entourage effect of terpenes in achieving a more robust high, this research is still in the early stages. For the most part, potency is still equated with a strain’s THC content. So unlike popularity, measuring potency will have to be a little bit more objective. We rely on the expertise of trusted cannabis websites, such as leafly.com and herb.co, who have come up with their own lists. Hightimes.com also conducts Cannabis Cups where they rank the most potent strains on a regional level. There is still no accepted standard or procedure for cannabis testing, and testing procedures vary from lab to lab, so consider these numbers a snapshot rather than an absolute value. So the list below is a sort of “Usual Suspects” list when you are looking for high-potency cannabis rather than a definitive ranking. Remember, even the same strains listed here may vary in THC potency if they come from different growers or regions. For those who value consistency, we have also listed the number of times that a strain has been included in the rankings by the sources we mentioned earlier. If they show up in the rankings of respected websites and figure prominently in 2 out of 3 regional awards, for example, then you can be confident that they will be more or less consistent. Listed below are the most potent strains according to our survey. Cannabis has been known to help in the treatment of a wide variety of ailments since ancient times. Recent studies and research only serve to validate what our forefathers have known all along. Non-recreational users want to take full advantage of the medicinal benefits of cannabis without necessarily dealing with the psychoactive effects could go for the high CBD strains. CBD is known to counter the psychoactive effects of THC. So it makes sense that a higher percentage of it compared to THC will give you access to the medical benefits without the high associated with THC-rich strains. CBD has gained more attention in recent years. It has become widely accepted in many parts of the world as a legal medical supplement for conditions such as anxiety, stress, and chronic pain. We cover high CBD strains in detail in another article. Go ahead and visit the page if you want to know more about this topic. In the meantime, we’ve listed below the top 5 high CBD strains currently available. Boasting a healthy CBD:THC ratio of 20:1, this rocker has been making sweet music by providing relief to countless patients suffering from pain, anxiety, epilepsy, multiple sclerosis, and chemotherapy side-effects without necessarily getting them intoxicated. This piney, earthy hybrid has a CBD:THC ratio of approximately 1:1 and will deliver a mellow but short-lived high that is simultaneously uplifting and relaxing. Bred deliberately as a medical strain, it is sought after to help relieve pain, muscle spasms, anxiety, migraine and various other symptoms. This earthy musk, sweet mango-flavored variety delivers the ideal balance of relaxation without sedation and pain relief without intoxication. 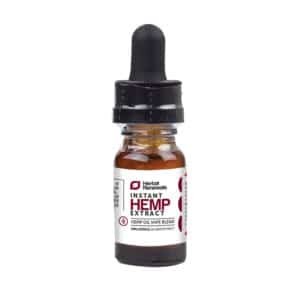 The 5:2 CBD:THC ratio amplifies the pain-killing properties of THC while negating its paranoia-inducing tendencies with the higher CBD content. Many patients prefer this to prescription medications and painkillers for their anxiety and pain. One of the few high CBD strains to have a correspondingly high THC content, this strain is sought after by patients who need stronger pain-killing action and heavier relaxation. Its 19-22% THC content delivers a stronger high than most high CBD strains and engulfs you with a euphoric and relaxing feeling, providing comfort to thousands of patients suffering from depression, insomnia, and muscle spasms. Specially developed by Colorado breeders The Stanley Brothers for an epileptic child named Charlotte, this strain has gained popularity the world over for treatment of seizures and other medical conditions after being featured by CNN’s Dr. Sanjay Gupta. 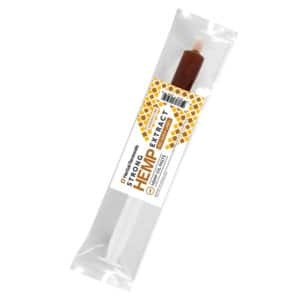 Its hemp-derived 0.3% THC is among the lowest in the industry and has been proven especially useful for treating children as it delivers little to no psychoactive effects. So, now you have some solid knowledge about the different types and the qualities to look for in strains. You even know the most popular, most potent, and high CBD strains. Now, how do you apply this knowledge to explore your choices and hone in on what will fit your needs? Do you manually research each and every strain through search engines and read through pages of text regarding their background, flavors, and effects; the symptoms and ailments that they can help relieve; the nearest dispensaries, user reviews, and all that stuff? Aside from being very tedious and time-consuming, you will need to create your own database to keep track of all that. There are thousands of strains on the market. How efficient do you think you can be if you do it this way? Luckily, there are reliable strain-finding tools available online containing a database of thousands of strains sorted into useful categories such as flavor, effects, symptoms, ailments/conditions, type, origin location, etc. Just input the required information in the filters, and you will be led directly to a selection of relevant strains directly targeted to your needs. Click on the recommended individual strains, and you’ll get a potpourri of all relevant basic information that you need regarding that particular strain. To be perfectly honest, I started out the review process assuming it would be a close call. But it turned out that wasn’t the case at all. As soon as I dove into the details of each option, it became apparent very early on that there was already a clear cut-winner that was way ahead of the pack, by a mile! So, let’s look at some of the details, shall we? At the risk of sounding biased and like a broken record, I will confirm our official verdict on the matter. Whether it be by aesthetics, functionality, or the wealth of useful and knowledgeable tips and information at your fingertips, it’s fairly obvious that one website stands head and shoulders above the others in terms of finding weed strains. Don’t waste your time and effort any further; just go directly to Leafly.com. Has this guide been useful for you? If you believe that it is, or if you have some suggestions to make it better, kindly drop your comments below. We would be glad to hear from you.